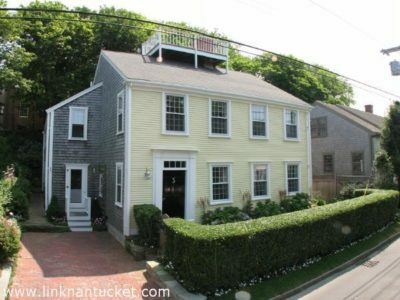 Located on one of the most sought after streets in the Historic District of downtown Nantucket, this four bedroom/three and a half bath home has a wonderful floor plan for entertaining indoors and outdoors. Top-end kitchen, off-street parking, central air conditioning, two fireplaces and custom built-ins and molding throughout the home and a third floor suite with full bathroom and access to a roof-walk with amazing views. Excellent rental history.